Butler Scanning, Inc.’s goal is to provide our customers with the highest quality nondestructive inspection of concrete utilizing GPR (ground penetrating radar) scanning and X-ray/radiography equipment. We are committed to being the preferred nondestructive testing company in the Midwest by providing the most accurate sub surface imaging in the industry. 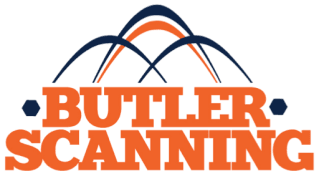 Butler Scanning strives to provide the most experienced, efficient and reliable scanning services to our customers. Butler Scanning utilizes only the most efficient and accurate equipment to accomplish our goals. We use Butler Coring for all of our GPR scanning and coring work. Their GPR staff clearly marks the embedded targets on the floor in the areas to be cored. They provide me with a GPR Survey Report for coring approval. Their core drillers are the most conscientious in the industry and take every precaution necessary. I use Butler Coring for all my scan and core work.